It’s no secret that content is king. To be exact, quality content is king. Whether it’s social media images or videos, the more time spent developing content typically results in more views, website traffic and sales. Developing resources for your business that potential customers can continually come back to will not only help drive traffic to your website, but also provide a service that can ultimately help others grow their business. One of the low-budget options is writing and maintaining a blog. KEY WORD is maintaining. Many businesses will start a blog because they’ve heard that blogging is a must-have on a company website, but what they quickly find out is that continually creating and posting content is harder than it sounds. An old tip that may or may not have any legitimacy is to have enough content drafted and ready to post for a two-week period. While the period of time of content drafted for your editorial calendar can be debated, the idea behind it is to make sure you can consistently post to your blog. Creating quality written blog posts takes a little practice and effort, but the return can lead to new customers. In this blog we will go through three common blogging mistakes and the steps to correct them. 10-15 years ago hyperlinking external websites was a way to boost your search engine optimization (SEO). Bloggers would hyperlink 10+ external websites and Google would consider this within their algorithm which determines what makes websites more authoritative. In 2019, this method does not actually boost your ranking, and in the long run is pointing your potential customers away from your website and to a website that could potentially lead them to a competitors website or to not purchasing your product at all. Ideally, the goal is to keep your customers on your website for as long as possible and to get them engaged in your resources. Tactics that send away your customers generally only help the website you’re sending them to. So what is the fix for this? A better option and more logical approach is to tag resources within your website. For example, if you’re writing a blog post about SEO and have other blog posts related to this topic, hyperlinking these posts could increase the time a customer stays on your website. The time customers spend on your website is a factor that Google monitors when ranking competing websites amongst key words. Plus, the more time a customer spends not just on your homepage is icing on the cake. For example, we have two posts about SEO for beginners, which you can see below. These posts are related to the topic in this blog post, and will hopefully keep the reader engaged for longer. As mentioned in the introduction, quality is key. There’s a well-known saying, “why say something in ten words when you can say it in five?” Well, this saying doesn’t pertain to blogging. Creating a well-formulated blog post isn’t about just “getting to the point” or creating a list of items that can be read in a minute. The length of the blog post contributes to how long a customer stays on your site, and better quality means a high chance of repeated reads which leads to a higher chance of the content being shared with others. 1200+ words. While 1200 words might seem like a lot, these three tips with an introduction and conclusion get this post easily over that mark. Create a solid introduction (or hook). The goal is to have your reader finish your blog post and not just click away. 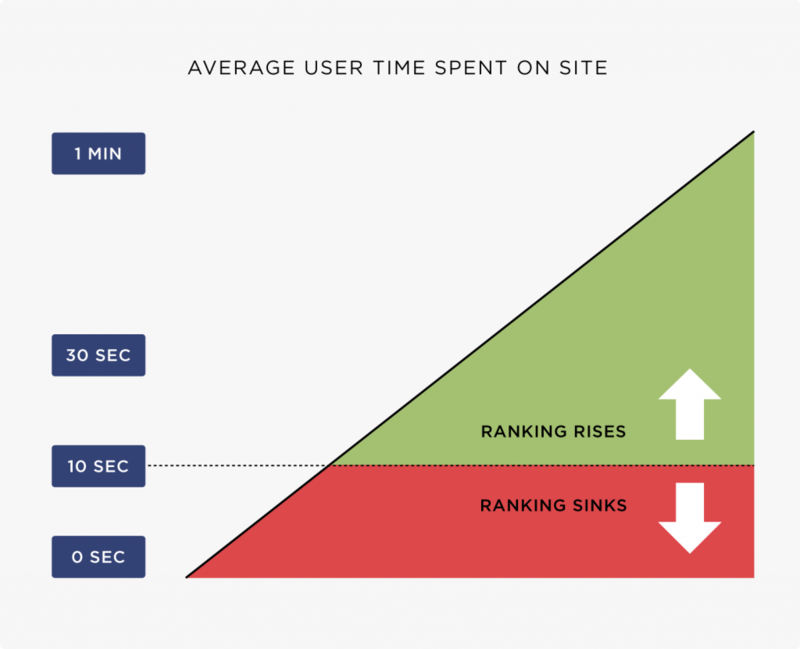 According to Brian Dean of Backlinko, getting readers past the 10-second mark is the key to a higher ranking in Google. Use relevant words that your audience uses. This is a difficult one for some business owners that get caught up with the business end, and forget what’s happening in the trenches. However, the terms and language used by your audience will keep your blog relevant. If your blog is directed at individuals in the business workforce, using terms that they don’t know or have never heard about is a way to get them to click away and not return. As this whole blog post has been hinting at, effort makes better quality posts. Putting 2-3 paragraphs without any in-depth content, images relevant to the post, or videos that give visual learners better insight, is similar to running a 10k and not finishing the race. When writing a blog post to attract new customers you’re putting considerable time into seeing what topics are popular, and what can be useful for your readers; so why wouldn’t you put 100% into the post and make sure your readers will benefit? 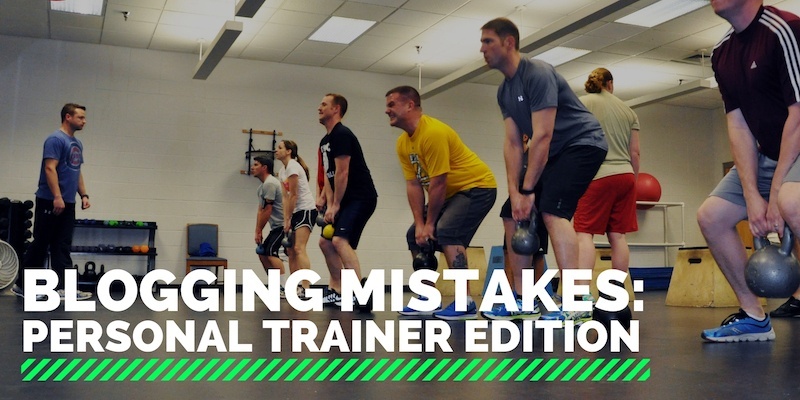 A good example of including images that support the content of the blog post can be seen in a blog post we made about common errors seen in group exercise (Click here to read the post). For this blog post, we did a mini-photo shoot (took less than 15-minutes to complete) to get the images outlined in the blog post. To make the images stand out and ensure the reader understands the concepts we are trying to outline, we threw the image into Canva (a graphic-design tool website) to add arrows and highlight certain aspects of the image. These extra steps take time, but it’s this quality that has made this post one of our most popular posts that is constantly commented on. Another popular route is to make a couple short video clips, post them to YouTube and then embed them into your post. Not saying that this way is better than the other, but some writers enjoy the process of being in front of the camera as well. A blog post that we followed this process was on steel mace exercises to utilize with your clients (Click here to read the post). The author actually did a combination of photos and video, but the video of the more dynamic movement gave the reader a video demonstration that they could utilize. As you will probably notice, we used many of the tips outlined in this post to write this breakdown. To find the topic all I did was look at my “recommended” video section on YouTube, which is a compilation of videos I’ve watched and what YouTube thinks I would find useful. Just like with creating quality content, YouTube wants you to spend more time on their site. If I continue clicking on different videos, they find videos that are similar and will hopefully keep me watching. As for the process I took to select this topic, creating written content from video content is a useful way to not spend too much time brainstorming a topic and to stay relevant with your audience. If you’re interested in more ways to improve your blog, we have a beginner’s blog post that covers some of the basics (Click here to read the post). The basics of blogging should be like tying your shoes, and part of the process you follow each time you post something new. Use these tips and please feel free to share tips that have helped you grow your blog. Tyler Valencia is the President of KIPS. 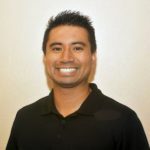 While working for a Southern California online education company he started his first business, Time 2 Train Fitness which specialized in bootcamp and personal training. Time 2 Train Fitness went on to receive the distinction of 3X Best Bootcamp and 2X Best Personal Trainer with the Long Beach Press Telegram. Before founding KIPS, Tyler was the Vice President of the National Council for Certified Personal Trainers (NCCPT) & Smart Fitness.